Outreach Cooking is cooking for the community. Each month we make dog biscuits and cat treats from scratch for animals in need at area animal shelters. We also bake and cook periodically for our friends in local assisted living facilities and nursing homes, for special events, and for local soup kitchens and community meals. At work in the No Limits kitchen. Activities that focus on productivity as well as giving back to our community are very important to us here at No Limits Eastern Shore. 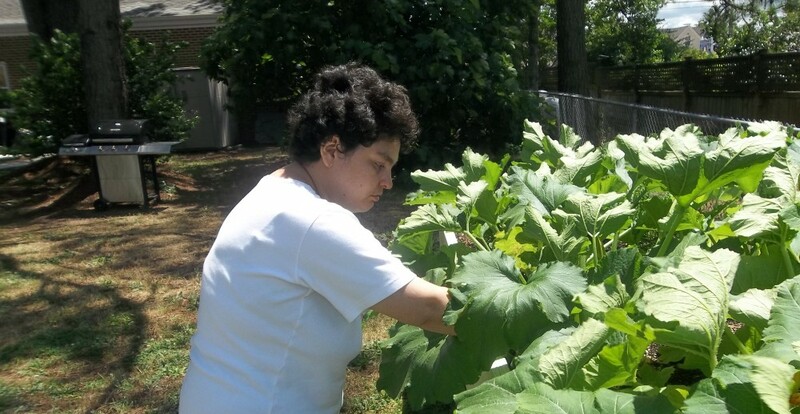 That is why in June of 2010 No Limits decided that we should utilize our ever-growing productivity skills to create meals for the hungry on the Eastern Shore. David and Maryann with Pastor Alice Collick from the Rehoboth Temple Community Outreach Ministry (RTCOM). 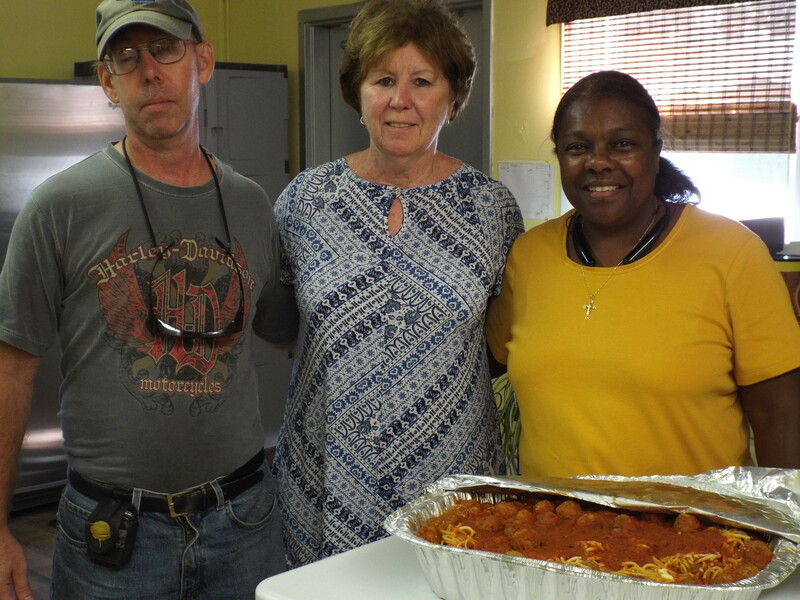 The meals and treats are made by participants of No Limits Eastern Shore with supervision and/or assistance from staff as needed. 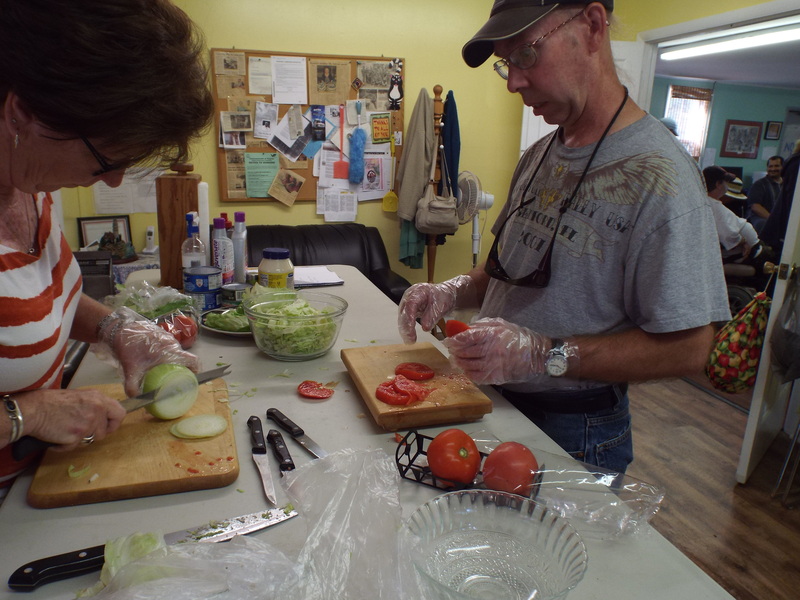 We believe that by giving back to our community through cooking for those in need that we are helping to accomplish 3 things: filling a hungry belly, teaching independent living skills to our participants through the production process, and providing a sense of pride for all of those involved. No Limits not only serves hungry human beings on the Eastern Shore, we also make dog biscuits and cat treats for our local animal shelters! 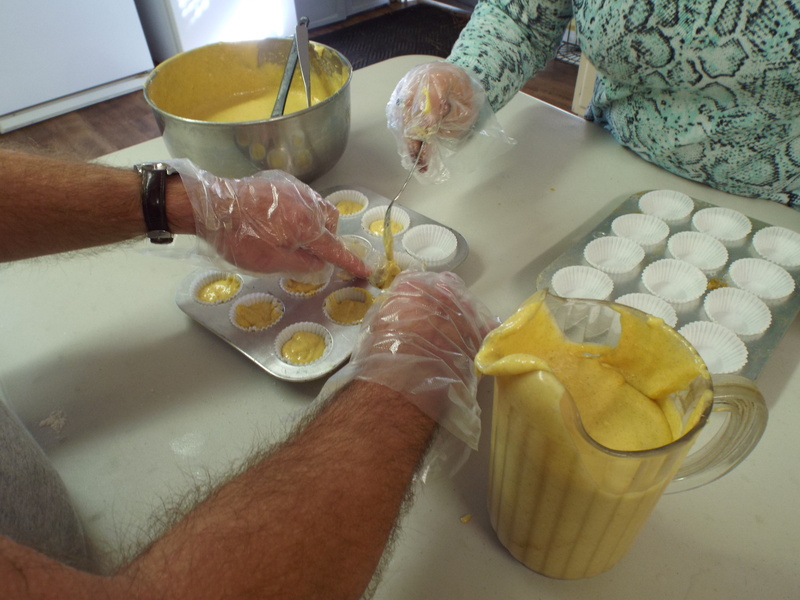 Our participants hand-make all natural treats for the animals at area facilities once a month. The cat treats use catnip grown and dehydrated right here at No Limits! 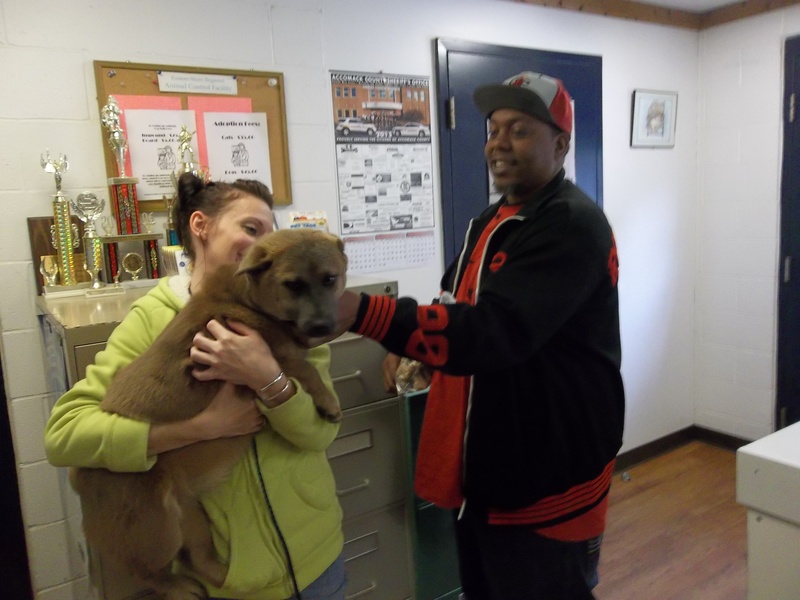 We also collect canned pet food for Accomack County Animal Control and aluminum cans for the SPCA. Andre and one of the pooches at Animal Control. No Limits participants raise the money for food and materials used in our Outreach Cooking Activities through the No Limits Activity Fund. This fund is supported by private donations and the activities of the No Limits Cafe. The No Limits Cafe sells drinks, snacks and light meals daily. The Cafe also accepts private orders for baked goods and dog biscuits; please contact No Limits for more information. 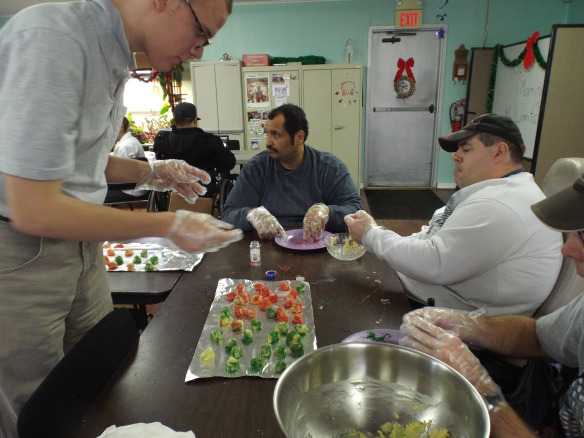 No Limits members making holiday cookies for residents of area long term care facilities. As a nonprofit organization any donations received are always greatly appreciated. Please view our “Donations” page to learn more about how you can help by donating to No Limits Eastern Shore.